The establishment is located on the old site of where the town’s famous and historic Royal Opera House was previously situated in North Yorkshire, England, and originally opened its doors in October 2005. It took 3 years to construct and was funded and developed for £7 million by the Shaw Family; headed by Nikolas Shaw. The venue was the largest entertainment investment in the whole of Scarborough for 30 years, and was the very first privately-funded casino since the Gambling Act 2005 was amended by UK gambling regulators. Today, the establishment plays a vital and major part in driving the town’s economic growth, and is one of Scarborough’s most prolific and lucrative entertainment funnels. The casino also holds a legacy for registering over 5,000 members before it even opened (a record in British history which is yet to be broken), and was originally home to 23,000 sq. ft. of gaming space, 20 unique slot machines, eleven table games including American Roulette, Cajun Stud Poker, Three-Card Poker and Blackjack, as well as a diner and multiple bars, where people could watch live sports and participate in Texas Hold ’Em tournaments with up to 55 players. Now, almost 15 years later, the casino will be undergoing a drastic transformation which will incorporate 50% more slot machines, an improved food and drink menu, and a new private gaming area on the first floor, situated next to a 140-capacity private events room known as ‘The Upper Circle.’ The room will allow for a more secluded environment where customers can participate in various games on the 4 available tables, and will also feature regular “how to” sessions where players can expand their knowledge and skills on certain games, while learning how to play them responsibly. 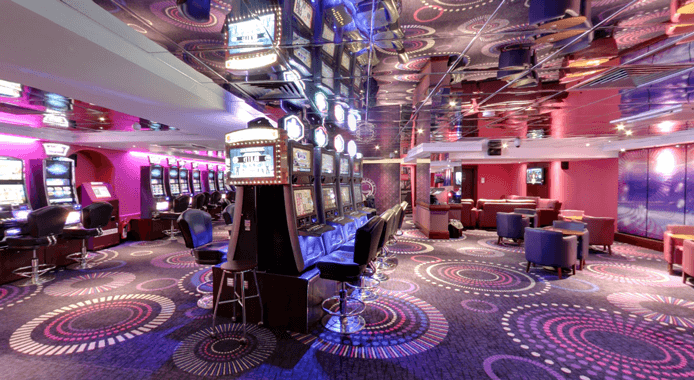 Though The Opera House Casino is renowned for being the first of its kind, according to the World Casino Directory, there is another venue in Scarborough which has taken the top trophy for its size and combined gaming capacity in recent years. 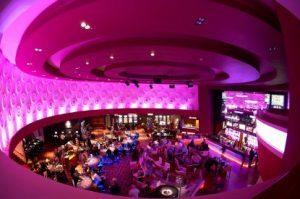 The Grosvenor E Casino originally opened its doors in September 2010, and is managed by gambling chain The Rank Group, who currently own 55 casinos scattered around various parts of the UK, with 2 unbranded sister establishments in Belgium and Spain. The Grosvenor houses a smaller gambling space, with 0 table games. But what makes it unconventionally more popular in comparison to the Opera House, is the fact that it is an e-Casino, which means all of the games on offer are electronic. So traditional games such as roulette and slots are all played online. With that in mind, progressive jackpots at the Grosvenor can reach as high as £10,000, which also suggests why many tourists and gamblers would choose to flock to their casino over the long-standing reputation of the former Opera House. As far as we know, the Grosvenor have made no plans to expand in light of their competitor’s latest movements.